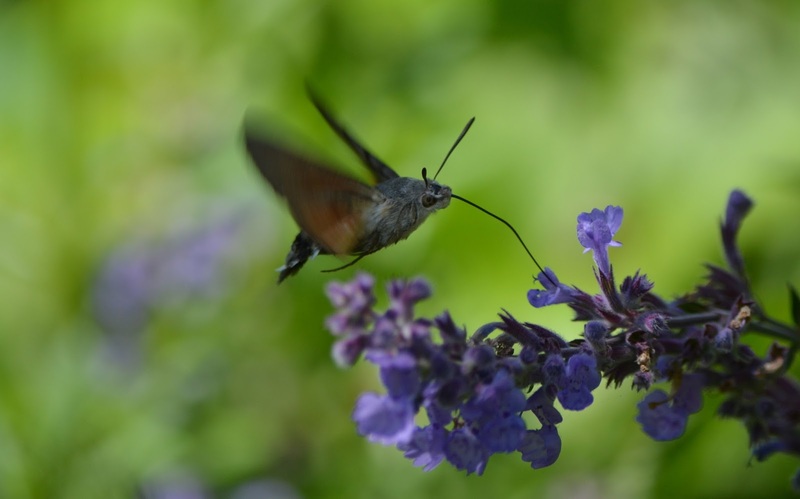 Mike Harper has sent this superb photo that he took of a hummingbird hawk-moth in his garden at Hendy in SE Carmarthenshire; it was seen on 17th & 25th June. Hummer at a Hendy garden. Photo: Mike Harper. Above: white-letter hairstreak - Mike had two individuals in his Hendy garden on 20th June and five on the 21st.